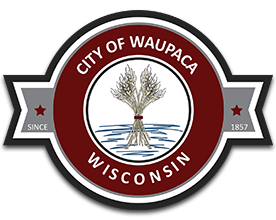 Tax Collection: Both installments (January 31st and July 31st) of the City of Waupaca taxes (Real Estate and Personal Property) are to be paid to and collected by the Waupaca County Treasurer at the Waupaca County Courthouse, 811 Harding St, Waupaca. Hours: Monday – Friday from 8:00 a.m. to 4:00 p.m. The phone number for the County Treasurer’s Office is 715.258.6220. For your convenience there is a night drop box located on the front of the building for after hours drop off.